em 17 de Agosto de 2018. He led UCD to victory in Spain’s first free elections in 41 years. Adolfo Suárez Gonzalez was a Spanish politician and lawyer, who occupied the charge of the president in the Spanish government. In 1977, Suárez led the Union of the Democratic Centre (Unión de Centro Democrático, UCD) to victory in Spain’s first free elections in 41 years and became the first democratically-elected prime minister of the post-Francoist Spain. He studied law in Salamanca, ended his doctorate in law at “Universidad Complutense de Madrid” and he was a key figure in the Spanish transition from the dictatorial regime to the democracy after Francisco Franco’s death. After he was elected president of the government, being chosen by King Juan Carlos I, he reached to achieve several things that were the first steps to leave behind those dark years of extremism as the dissolution of the “Cortes Franquistas” and the legalization of the political parties, Communist Party included. Suárez’s centrist government instituted democratic reforms, and his coalition won the 1979 elections under the new constitution. Less successful as a day-to-day organizer than as a crisis manager, he resigned as Prime Minister on 29 January 1981. A month later, the parliament was taking a vote to confirm Leopoldo Calvo-Sotelo as Suárez’s replacement as Prime Minister and was disrupted by the entrance of Lieutenant Colonel Tejero and his attempted coup. The 23-F coup attempt (“El Tejerazo”) shook the government but was defeated. In 1982, Suárez founded the Democratic and Social Centre (Centro Democrático y Social, CDS) party, but never achieved the success of UCD. In 1988 he became President of the Liberal International and in 1991 he retired from active politics for personal reasons. Nevertheless, he was raised into the Spanish nobility by King Juan Carlos of Spain and given the hereditary title of “Duque de Suárez” (Duke of Suárez), together with the title Grande de España (English: Grandee of Spain) following his resignation as Prime Minister and in recognition of his role in the transition to democracy and was awarded the Príncipe de Asturias a la Concordia in September 1996 for his role in Spain’s early democracy. On 31 May 2005, Suárez’s son, Adolfo Suárez Illana, announced on Spanish television that his father was suffering from Alzheimer’s disease, and could no longer remember his period as Prime Minister of Spain. The announcement followed speculation about Suárez’s health in the Spanish media. On 21 March 2014, his son announced that his death from neurological deterioration was imminent. Then he died as a result of a respiratory infection on 23 March 2014 in a clinic in Madrid. Suarez was given a state funeral and was buried in the cloister of Ávila Cathedral. On 26 March 2014, the Spanish government decided to rename the Madrid-Barajas airport to Adolfo Suárez Madrid-Barajas in honour of his service to the country. Tomás Matamoro, a volunteer of the Students’ Union, as part of the EVS program. He was born in Vigo and he grew up in a small port on the outskirts of the city, which led him to feel the passion of the sea and everything he can give to a city that lives on its resources. He always liked to travel and to discover the world, always learning new things from different cultures. After living in Miami for a year in high school and 3 years in Madrid studying, now he is living in Funchal as a volunteer. Erasmus+ is a programme of the European Commission embracing the fields of education, training, youth, and sports during the period 2014-2020. One of the major aspects is the cooperation between the different fields where the programme acts, hence contributing to a diverse and rich Europe. Amongst the several goals of the programme, the following are prioritised: the objectives of the Europe 2020 Strategy, including the headline education target; the aims of the strategic framework for European cooperation in education and training (ET 2020), including the corresponding benchmarks; the sustainable development of Partner Countries in the field of higher education; the overall goals of the renewed framework for European cooperation in the youth field (2010-2018); the objective of developing the European dimension in sport, in particular grassroots sport, in line with the EU work plan for sport and the promotion of European values in accordance with Article 2 of the Treaty on the European Union. In order to achieve these goals, the Erasmus+ has several action policies. The Key Action 1 (KA1) is directed towards the mobility of people; Key Action 2 (KA2) for the cooperation for innovation and the interchange of good experiences; and Key Action 3, which is for the support of reformation policies. Since 1991 the University of Madeira Students’ Union has developed a wide incentive policy for voluntary work. 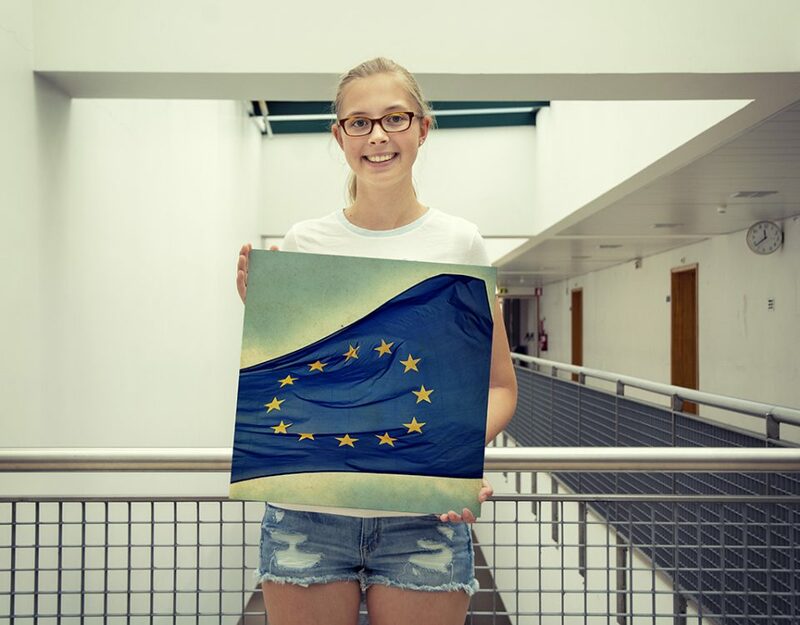 In 2013 the Students’ Union started the process to receive, send and coordinate Erasmus+ projects of the European Voluntary Service, in order to have a larger influence in the volunteering field. The Union received its first volunteer withing the ambit of a KA1 project in 2014. Many efforts have been done to allow young people from Madeira to take part in several initiatives in Europe, as well as propose several projects allowing young people from several countries to work in the projects of the Students’ Union of the University of Madeira. The main goal of the voluntary work is the contribution of the volunteers to the communities and places they will be staying, being their work not rewarded with payment. 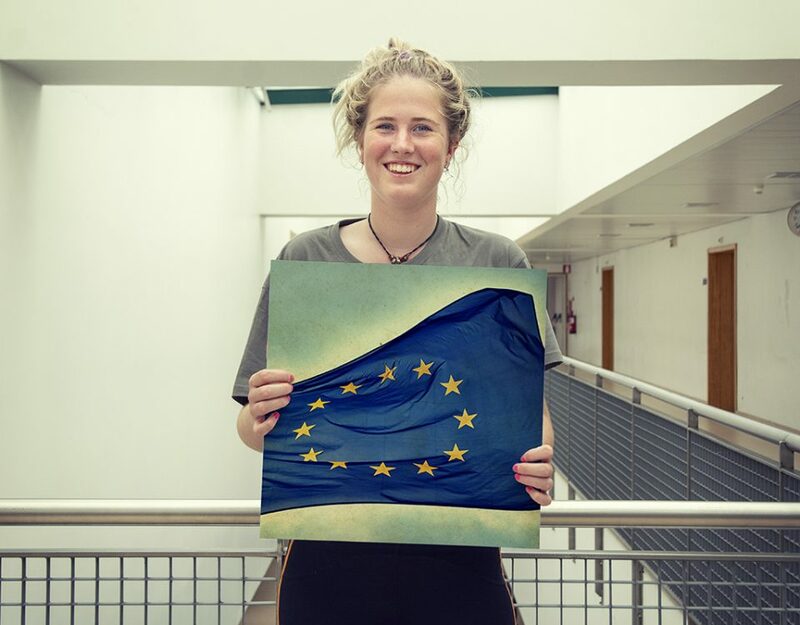 We believe that the European Voluntary Service is a mechanism full of experiences, allowing the approved candidates to have the privilege of taking part in these projects and benefit the places and communities where these volunteers will be staying. Since 2013, the University of Madeira Students’ Union has received volunteers that have collaborated in several activities and initiatives. Besides being able to enjoy a wonderful experience which will contribute to their personal and professional growth, they are able to contribute in a unique way to the community in which they are inserted and to join dozens of volunteers from the University of Madeira.